PJ Sullivan Construction, your local home improvement contractor, shares three tips to keep in mind when creating an effective entrance way for your home. Lighting can mean the difference between a drab-looking entrance way and one that greets your guests and gives them a sneak peek of what your main living areas look like. We recommend installing dramatic or mood lighting that serves as the focal point of the entrance way to establish the main aesthetics of the space. You have several options to choose from, such as chandeliers, pendants or sconces. For entrance ways that lack a ceiling, pinspot lighting installed over artwork is a good alternative. While it’s a good idea to paint the walls the same color as the main living room, many contractors recommend using a richer color for the entrance way. We agree, as a richer color scheme establishes this transitory effect in the other spaces, especially if the rooms connected by the entrance way have a more subdued color. Good colors to choose from include deep rust, teal and deeper hues of blue and red. Finally, you should never overload the entrance way with too much decor or furniture. Its main role, after all, is to transition and connect to the main living areas to the front door. You don’t want to crowd yourself and your guests too much so make sure this space has around three to four feet of free space. A well-placed side table is an ideal piece of furniture for this room. 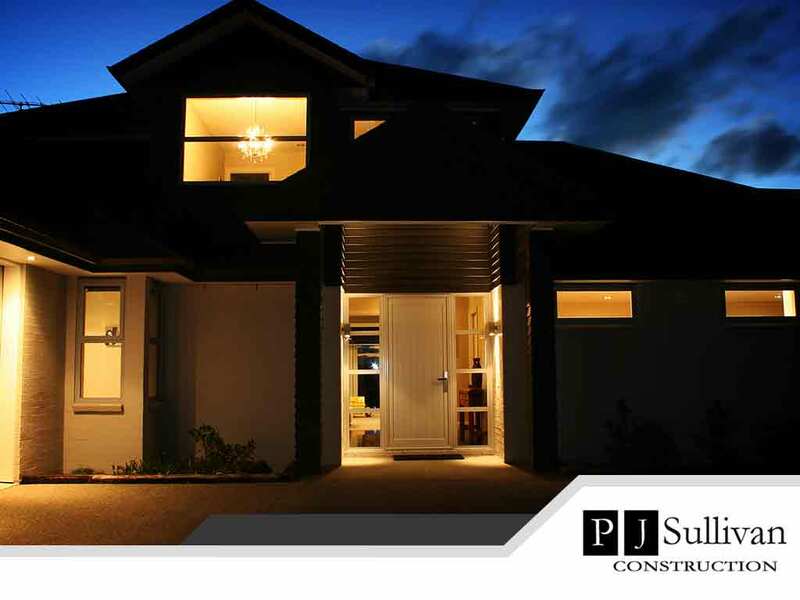 As one of the top home addition companies in New Jersey, PJ Sullivan Construction will help you properly design and decorate your home’s entrance way. New Jersey homeowners may reach us at (201) 614-2724 to learn more about our services. We are a local home improvement contractor in Bergen County and Wyckoff, NJ.